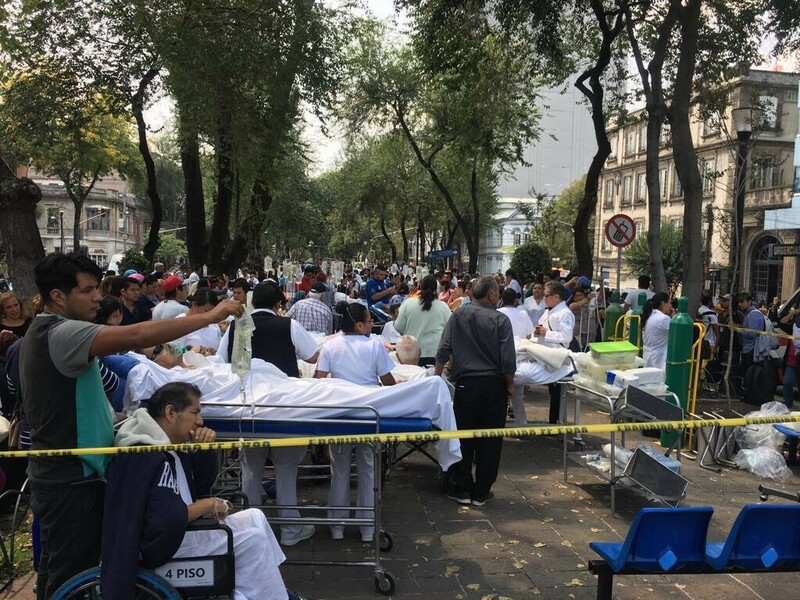 A 7.1 magnitude earthquake shook Mexico City Tuesday afternoon, toppling structures and prompting evacuations throughout Mexico’s capital. The quake comes just weeks after an 8.1 magnitude earthquake jolted the country, claiming at least 60 lives in the states of Oaxaca and Chiapas. More than 70 people were reported dead as a result of Tuesday’s earthquake, according to Mexico’s National Emergency Operations Center. Direct Relief has staff in Mexico City and a presence throughout the country, and a team from Direct Relief was responding to the aftermath of the 8.1 magnitude quake in Oaxaca when the latest temblor struck this afternoon. As the full extent of damage comes into focus, Direct Relief will continue working with medical companies and government agencies in Mexico to bring needed medical supplies to areas of need.